So you were promoted from salesperson to sales manager. A promotion is always a good thing. It’s recognition and confirmation of your hard work, and it may be a critical next step on your career arc. For many new sales managers, though, the elevation from individual salesperson to team leader also presents a bit of a challenge. After all, when you were a salesperson you were probably only responsible for your own goals, your own activities, and your own behaviors. Your success or failure was based on your efforts, and yours alone. Now you’re being judged based on the success of others. Even worse, they may not do things the way you would do them. You might be able to see their challenges and areas for improvement, but they might not get it. That’s one of the big reasons why great athletes rarely make great coaches. Look back through sports history. Every league is littered with former greats who didn’t cut it as coaches. Magic Johnson. Wayne Gretzky. Mike Singletary. Isiah Thomas. This list goes on and on. The greatest players are used to succeeding at a high level because they’re in the habit of working harder, preparing more intensely, and doing whatever it takes to meet their goals. However, that intense focus makes it difficult for them to relate to the average-achiever or even the underachiever. 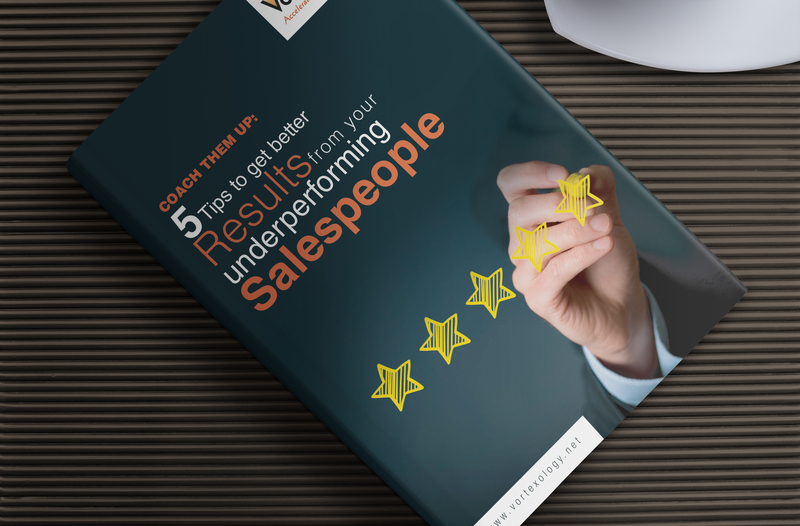 Were you a sales superstar before you became manager? That’s great. It’s probably why you got the job. But you may find that you need to adjust your mindset to get the most out of your team because not everyone will have that same level of focus and dedication. For insight on what it takes to make the adjustment from successful player to successful coach, look no further than Steve Kerr, head coach of the Golden State Warriors. Last year, I wrote a blog post about what salespeople could learn from Warriors superstar Steph Curry. Now it’s time to take a look at Kerr, the team’s leader. Kerr was never a superstar as a player, but he was successful. He played for over 15 seasons, and during that time he was known as a clutch three-point shooter. He won three NBA championships with the Michael Jordan led Chicago Bulls and another two with Tim Duncan and the San Antonio Spurs. In 2014, he accepted his first-ever head coaching job at any level with the Golden State Warriors, and promptly led them to a 67-15 record and an NBA championship. This year, the Warriors are 44-4 and are on pace to break the league’s single season wins record. Some might say that he inherited a great team. That’s true, but it’s also true that the year before he arrived, the same roster only won 51 games. So what happened? How did Kerr find instant success as a first-time coach? And what lessons can you take to help you in your transition from sales superstar to sales leader? #1: Learn from your mentors, but be your own person. 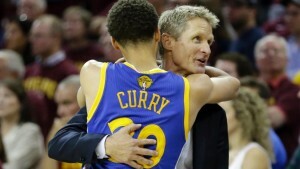 Kerr has no shortage of mentors to call upon. He played college basketball at Arizona, under legendary head coach Lute Olsen. In the NBA, he played for Phil Jackson and Greg Popovich, two of the most successful pro coaches of all time. Kerr has said that he reaches out to all of his old coaches regularly, but he’s also careful to implement his own system. For example, Kerr and the Bulls thrived under Jackson’s unique triangle offense. But Kerr didn’t implement that system with Warriors. When asked why, he said that he loves his old coach’s system, but it wasn’t right for his new group. He felt the system was “too drastic” of a change. When you take over your own sales team, don’t hesitate to reach out to your former bosses. But remember, what worked for them won’t necessarily work for you and your group. Take a look at your personnel and your goals and don’t be afraid to chart your own course. #2: Lead the team, but coach individuals. Your job as manager is to lead the group to success. Often, the best way to do that is to coach up each individual team member. Warriors center Andrew Bogut has said that Kerr meets with every player on the team individually every couple of weeks. According to Bogut, those conversations have “no agenda, nothing personal, no favorites.” They’re simply opportunities for the coach and player to discuss what needs to be done better. They’re also opportunities for Kerr to earn and retain his players’ trust. Early in his tenure, Kerr benched veteran Andre Iguodala in favor of struggling youngster Harrison Barnes. There was fear that Iguodala might scoff at the idea of coming off the bench. However, Kerr used those one-on-one meetings to lay out his vision and earn Iguodala’s trust. Today, both Iguodala and Barnes are critical keys to the Warriors’ success. Individual coaching shouldn’t be an annual, semiannual, or even quarterly event. It should be regular. It’s the only way for you to stay connected with your team members and address their individual areas for improvement. If you’re not comfortable with your coaching abilities, check out my coaching guidebook Coach Them Up. It’s available for free download and will help you tap into your inner coach. Lesson #3: Build a system. Finally, one of the hardest truths for new managers to accept is that they can’t do everything themselves. You have to be reliant on your team members. You can’t call every prospect. You can’t close every deal. You can’t will your team to success. The only way to have sustainable success is to delegate and build a system. That’s exactly what Kerr did and it paid off handsomely when he took a leave of absence this season due to back pain. Assistant coach Luke Walton stepped in and led the team to a 39-4 record, largely because of the system Kerr had in place. If it feels like your team can’t do anything without your help, maybe it’s because you’re not giving them an opportunity to do so. Growth and change are hard, but the only way to learn is to fail. The next time one of your team members needs your help, resist the urge to do it yourself. Give them guidance, but then set them free to do it on their own. Delegate and trust your team. It’s the only way to build long-lasting success. Making the transition to coach and manager can be complicated. If you feel like you’re struggling with the transition, let’s talk about it. I coach sales managers as well salespeople. Your first consultation is always free and requires no commitment. Let’s schedule a time to chat so we can turn your team into a bunch of record-breaking champions, just like Kerr’s Warriors.